Springer. Paperback. POOR. Noticeably used book. Heavy wear to cover. Pages contain marginal notes, underlining, and or highlighting. Possible ex library copy, with all the markings/stickers of that library. Accessories such as CD, codes, toys, and dust jackets may not be included. Thomson Learning, 05/21/1992. Paperback. Used; Good. **WE SHIP WITHIN 24 HRS FROM LONDON, UK, 98% OF OUR ORDERS ARE RECEIVED WITHIN 7-10 DAYS. We believe you will be completely satisfied with our quick and reliable service. All orders are dispatched as swiftly as possible! Buy with confidence! Chapman & Hall, 1992-12. Paperback. Good. Chapman and Hall. 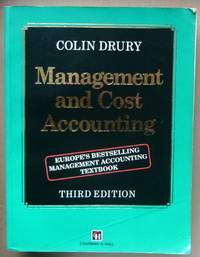 Management and Cost Accounting: Third Edition: Europe's best selling Management Accounting Textbook, New chapters on activity-based costing (ABC) and advanced manufacturing technologies (AMTs). new material on JIT MRP, target costing, life cycles costing, strategic management accounting, total quality management and customer profitability analysis. Thoroughly revised and many completely new end-of-chapter problems taken from the past examination papers of CIMA, ACCA, and ICAEW ? 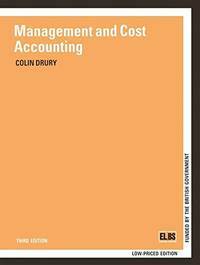 If I were to recommend just one text for management accounting students, then this would be it' PASS Magazine. Large heavy format green glossy paperback. Ex library minimal marks, covers a little creased and rubbed to corners and spine ends, internally clean bright and tight and in very good condition. . Good. Paperback. 1992. London, United Kingdom: Chapman and Hall, 1995. Trade Paperback. Some highlighting to some pages. Crease to corner back cover. Special features of this edition include: New chapters on activity-based costing (ABC) and advanced manufacturing technologies (AMTs). new material on JIT, MRP, target costing, life cycles costing, strategic management accounting, total quality management and customer profitability analysis. Thoroughly revised and many completely new end-of-chapter problems taken from the past examination papers of CIMA, ACCA, and ICAEW. 874 pp. (We carry a wide selection of titles in The Arts, Theology, History, Politics, Social and Physical Sciences. 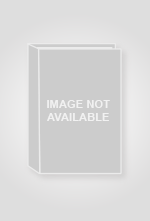 academic and scholarly books and Modern First Editions ,and all types of Academic Literature.). 3rd Edition. Soft Cover. Very Good. 4to - over 9¾" - 12" tall. Trade Paperback. Springer. PAPERBACK. 0412463903 The book is in good condition. Pages are intact and not marred by notes or highlighting. Sun had faded parts of the book. Some page creasing the cover. -- Re-Read is a social enterprise that trades in and recycles books to reduce waste, save them from landfill and provide services and activities that promote literacy, education attainment and quality of life in South Yorkshire and supports Askern Community Library. All overseas shipping is via Airmail. . Good. 1992. London: Chapman & Hall, 1992. This book is part of a large purchase from a Public Sector Library and except where mentioned are for the most part LIKE NEW! MOSTLY the ONLY flaws are the blacked out (they insisted) Library stamps which show many of them to be UNUSED! This copy is Very Good (AVERAGE) FEEL FREE TO E-MAIL FOR PHOTOGRAPHS AND FURTHER DETAILS. FROM A DEALER WHO TELLS YOU WHO THEY ARE AND WHAT THEIR TELEPHONE AND ADDRESS CONTACT DETAILS ARE!. EX PUBLIC SECTOR LIBRARY BLACKED OUT STAMPS.. Third Edition. Glossy Pictorial Card. Very Good (AVERAGE)/No Jacket. 4to - over 9¾" - 12" tall. CARD COVERED PAPERBACK. Springer. PAPERBACK. 0412463903 New Condition. . New. Springer. PAPERBACK. 0412463903 Like New Condition. . Fine. Springer. PAPERBACK. 0412463903 THIS IS THE THIRD EDITION . Very Good. Springer. PAPERBACK. 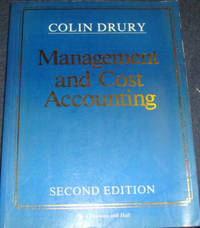 0412463903 1992 edition third edition, cover is different from picture shown . Good. Chapman & Hall, 1992-12-01. 3 Sub. Paperback. Used:Good.